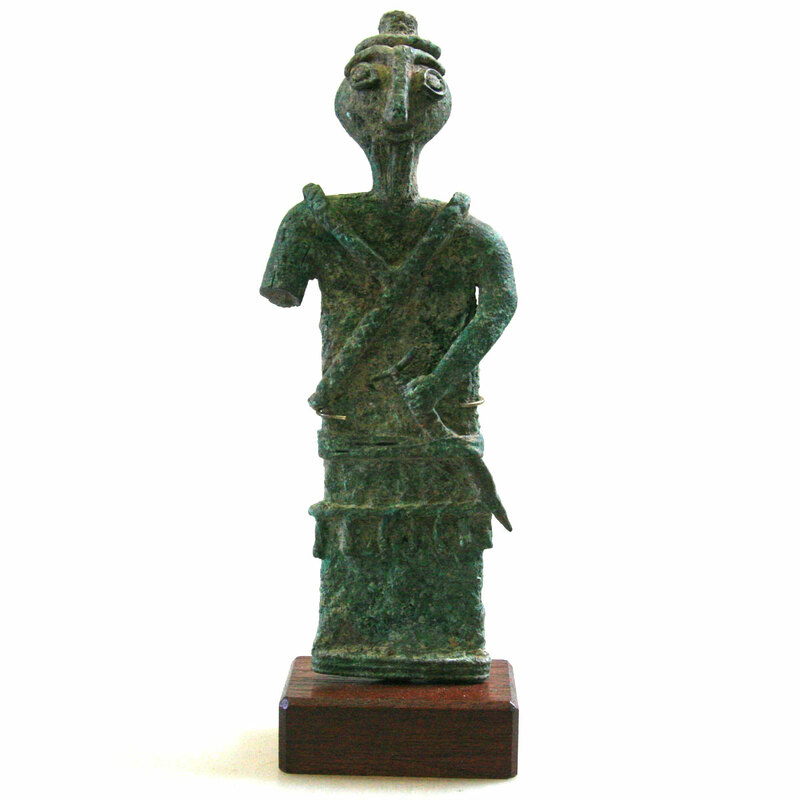 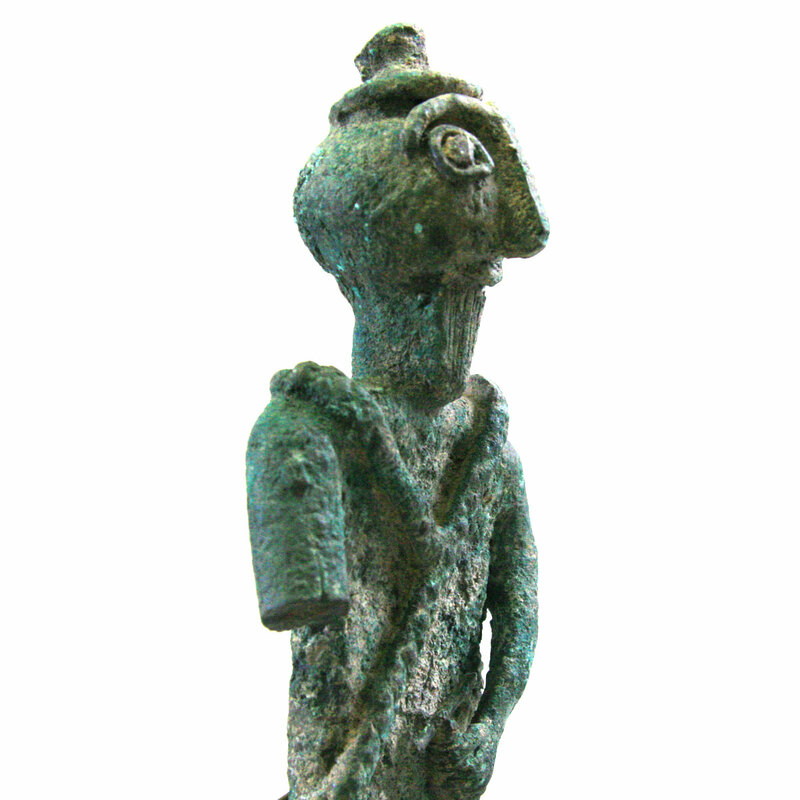 ﻿ Exclusive Items : A rare Luristan bronze figure of a warrior. 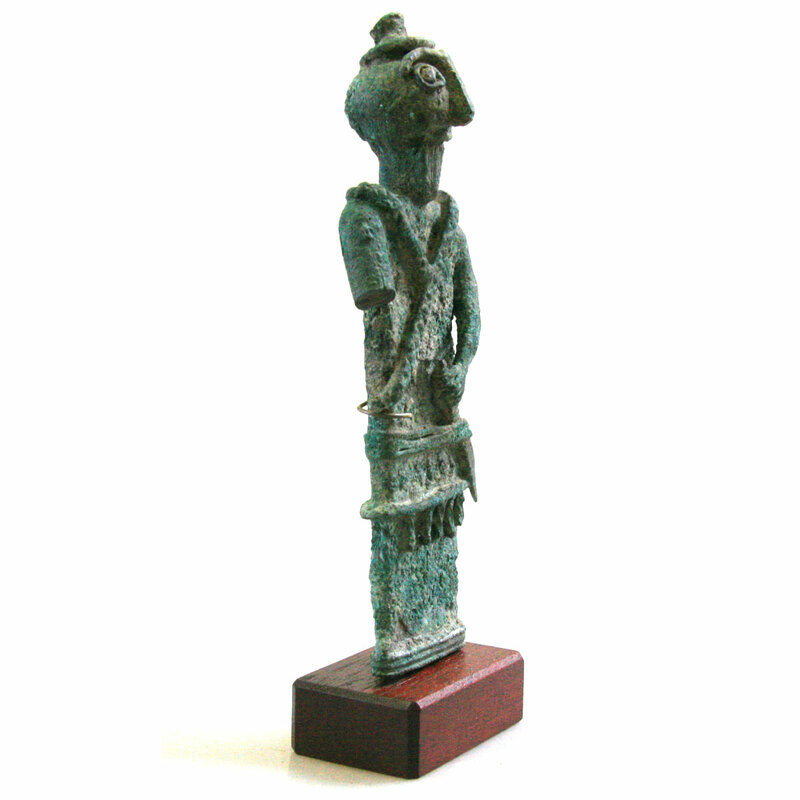 A rare Luristan bronze figure of a warrior. 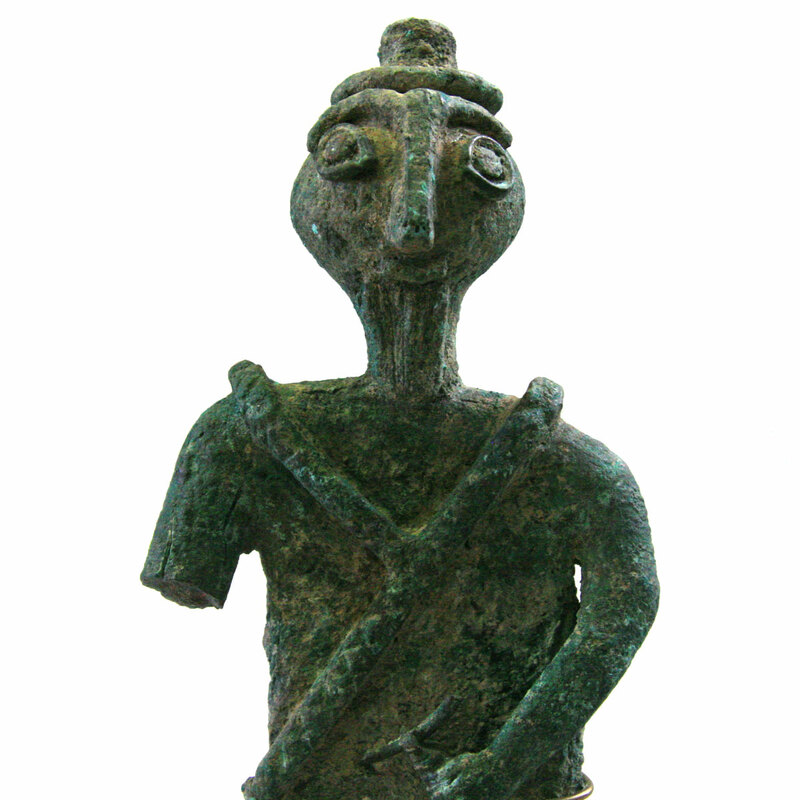 Flat form standing with his left hand resting on his sword. 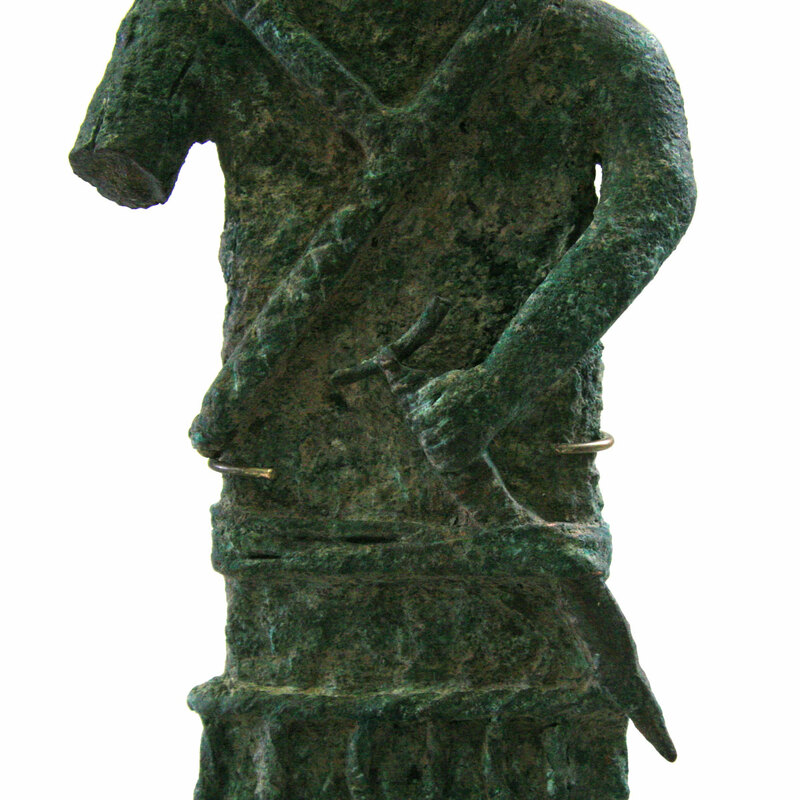 Wearing a stylised tunic draping across both shoulders. 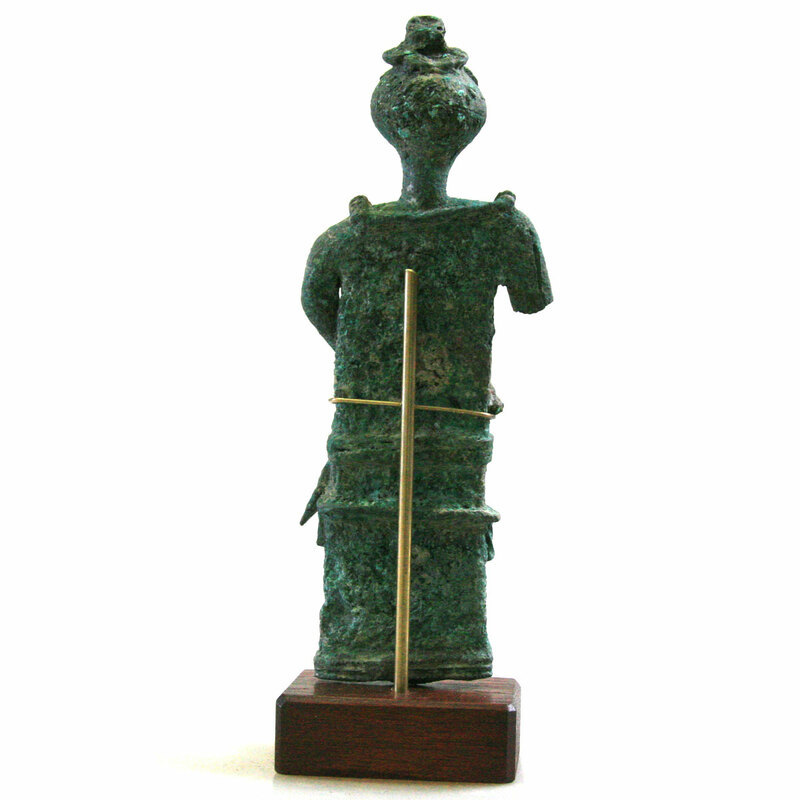 Below the sword sits another belt with draping tassels. 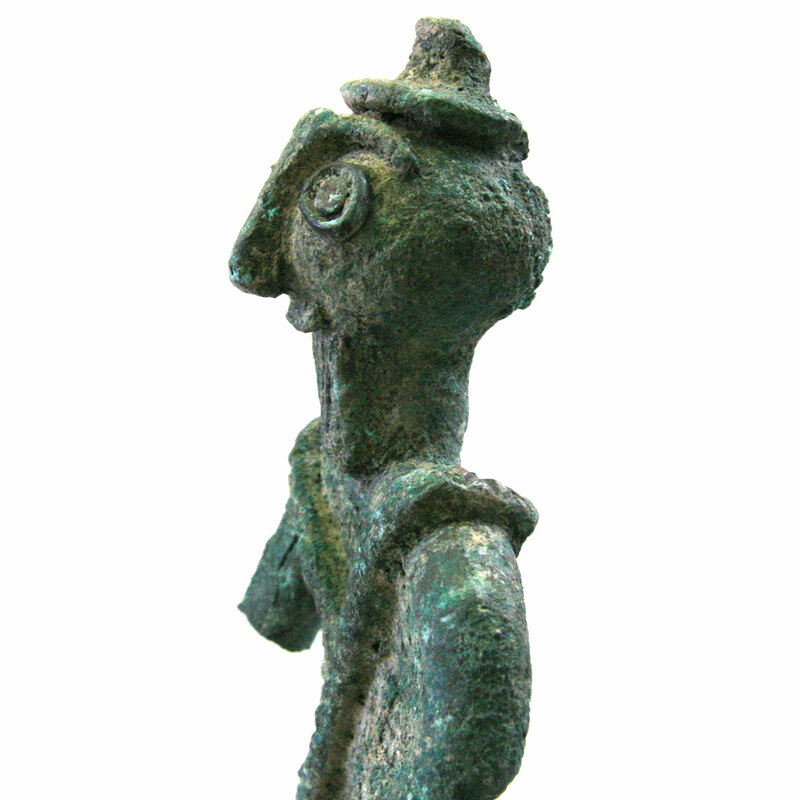 The face with solid brows and nose surmounted by a round hat. 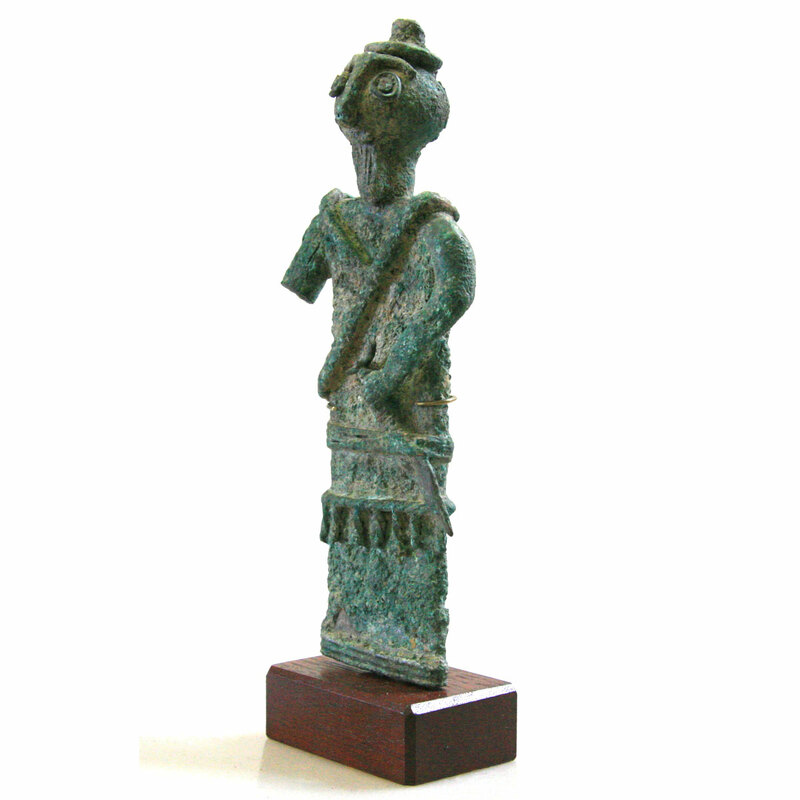 Ancient loss of the right arm, with verdigris patina evident. 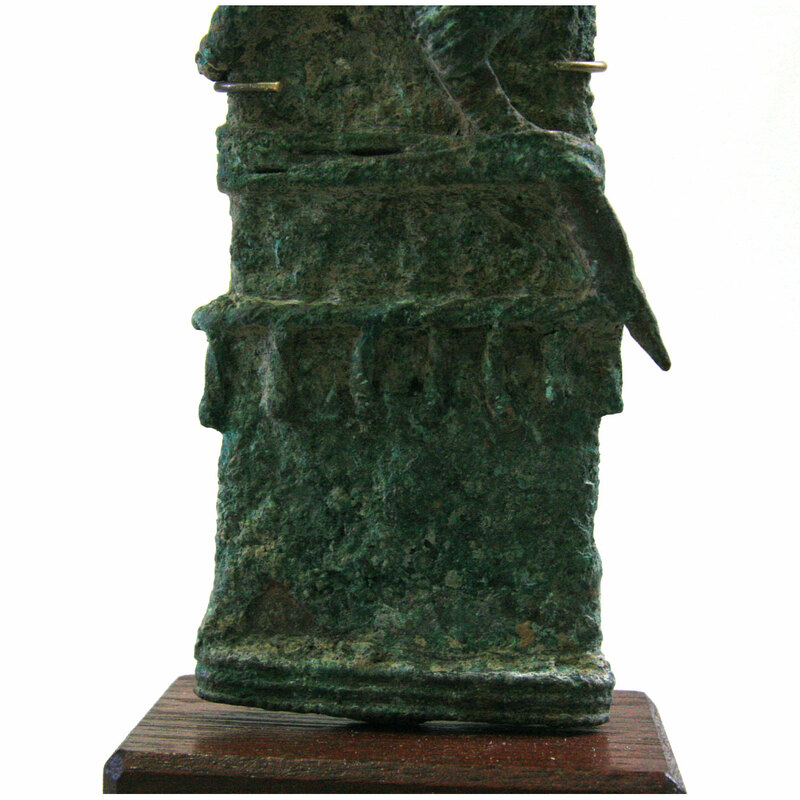 Presented on custom brass and wood display stand.